Two recent appointments in NSW, one at the Institute of Architects and another within state government, could prove to have a defining impact on the future of NSW’s built environment. The retirement of Premier Mike Baird last month was a shock for all, but it was the announcement that his cabinet would be dissolved and reformed under his successor, Gladys Berejiklian, that was of most concern to AEC stakeholders. What would happen to Minister for Planning Rob Stokes? The man with the vision for a new NSW planning system. Who would replace him? What would happen to that vision? Two of those questions were soon answered when Berejiklian picked her cabinet, shuffled Stokes to the education portfolio and handed the planning leadership to member for Lane Cove, Anthony Roberts (pictured right). So Stokes was gone, but what of that vision? At the same time, albeit less abruptly and publicly, the NSW Chapter of the Australian Institute of Architects was going through its own change of leadership and busy prepping a new Chapter President. 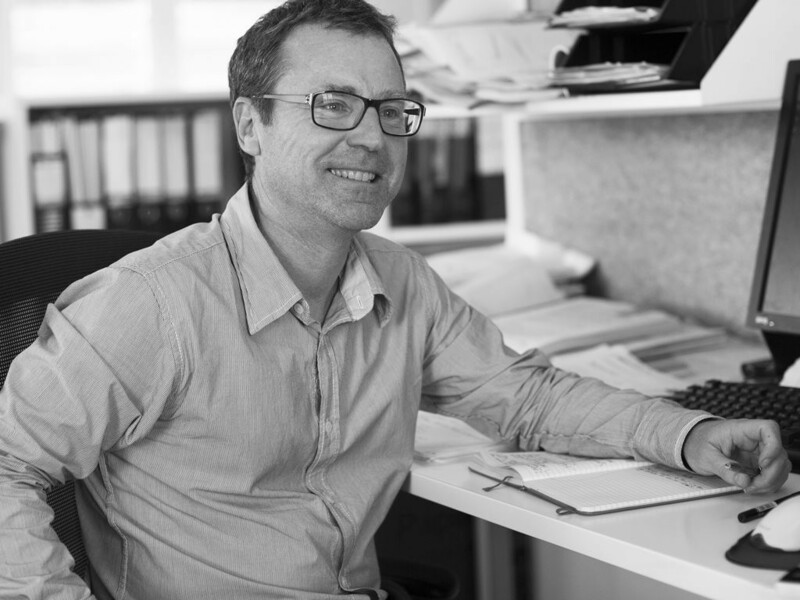 Andrew Nimmo, director of Sydney-based practice Lahznimmo Architects, was chosen as the successor to respected public figure, Shaun Carter at a time when strong leadership from and within the profession is needed. How does Nimmo plan to work with him? In answer to the first question, Nimmo says that, like the rest of us, he hasn’t had enough time to form an opinion on Roberts as a political figure just yet, but he has been busy reading up on him ahead of their to-be-scheduled first meeting. Nimmo has however, as an architect practicing in NSW, had time to definitively understand the challenges the state faces in the midst of a changing climate, growing population and dire affordable housing problem. At the top of Nimmo’s agenda for his new position is helping address the issue of affordable housing in Sydney, and in his first interview as President Elect says he was pleased that Berejiklian has indicated that she shares his concern. Key to Nimmo’s agenda will be to position the architecture profession very much within the discussion surrounding the topic. The issue, he says, isn’t just about tax and leasing the land, but about providing high-quality, liveable design solutions in the right place, for the right people and at the right price – something NSW architects are in the best position to do as the sole designers of multi-residential buildings under State Environment Planning Policy 65 (SEPP65). “The architecture profession needs to be part of the discussion because we’re ultimately the ones who are going to be responsible for designing these buildings,” says Nimmo. The planning process as Nimmo refers to, was, and probably still is, about to change dramatically under the current state government’s tenure. In October last year, former planning minister Stokes released a new draft design policy and open design competition that would ultimately define a new set of design standards for medium density housing within the state. The competition was to be open to all but judged by an expert jury of architects, building designers and planners. It was a big sign that the state government valued the role of design-thinking in high-quality planning outcomes, as well as the skill and expertise of architects as the major facilitator of those outcomes. Maybe even more importantly, Stokes also released a raft of new planning reforms to the Environmental Planning and Assessment Act of 1979 just weeks ago. These reforms are proposed to dramatically alter the way development applications are assessed in the state. Among the many amendments, which seek to improve community participation in planning, facilitate strategic planning, increase probity and accountability in decisions, and create a simpler, faster planning system, is a clause which pricked the ears of the design profession. It was an emphasis on good design in strategic planning and Shaun Carter was quick to welcome the inclusion and put his hand up on behalf of the Institute to help decide what ‘good design’ might look like. Similarly, Nimmo is all for design-led planning and once again says architects must be leading and shaping this discourse. “This is clearly something the institute, and the architecture profession in general, should be involved in,” he says. The government also demonstrated in 2016 that it would continue to sell public assets within the Sydney CBD to help fund new public housing facilities elsewhere in the state. But this fundraising method hasn’t been well received so far by the Institute, particularly as one of those assets to go under the hammer is to be the famous brutalist apartment block at The Rocks called Sirius. Shaun Carter, on behalf of the Institute, became the face for the public campaign to save Sirius from demolition and has been busy lobbying to have the decision overturned on account of the building’s design merit and cultural significance to the city. But while Nimmo shares Carter’s same affinity for Sirius, he believes it’s just one part of a bigger problem. “Sirius is certainly a particular building that we can target,” says Nimmo. The pending demolition of the Powerhouse Museum at Ultimo is a further case in point, says Nimmo. Like others, Nimmo is not entirely against a new Powerhouse Museum at a new location, but he is against mindlessly demolishing a significant building and part of Ultimo in the process. “That’s a Sulman Award-winning building in the inner city,” says Nimmo, referring to the NSW Chapter’s highest honour for a public building at its annual awards program. Nimmo will take over from Carter as NSW Chapter President on 7 February. Read more about his intentions for his tenure here.